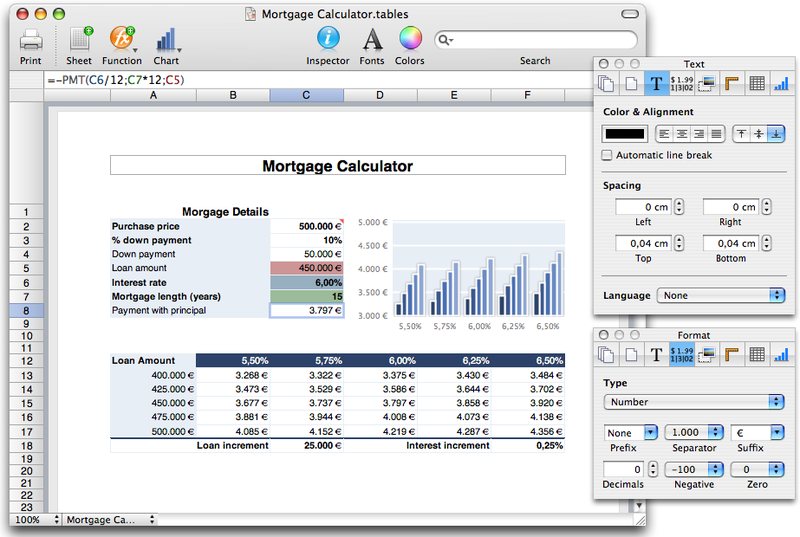 [prMac.com] Castrop-Rauxel - Germany - Daniel Schwill has announced a Black Friday Special for Tables - the easy way to spreadsheets on Mac OS X. Purchasers can receive 33% off by using the coupon code "thanks08" when they purchase a Tables licence on Black Friday - November 28, 2008. Tables enables you to organise and present data very simply. With Tables you can not only organise data but also do calculations and comparisons with it. Add, sum or multiply numbers or process data by using more than 100 functions. Data can not only represent numbers but a date or an amount, too. Tables offers extensive options to format the data. Format them as an amount, as percentage rate, scientifically or with different date formats. Create visually attractive invoices, lists or reports and even add some photos, PDF documents or charts to present your data with great visual impact. The upcoming Tables 1.5 will add additional formatting options as well as an OpenDocument format (ODF) exporter. Tables 1.5 will be available as a free update for all registered customers. Tables requires Mac OS X "Tiger" version 10.4 and is available for download now. Tables offers a full functional free 30-day trial. A licence can be purchased from the reseller share-it! for 29 EUR (approximately $39 USD).